VIO-LENCE VOCALIST UNDERGOES LIVER TRANSPLANT. 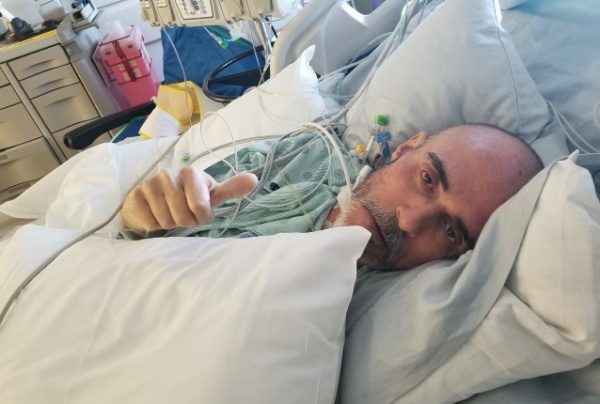 VIO-LENCE singer Sean Killian underwent a successful liver transplant surgery earlier this week. The thrash metal vocalist went under the knife Monday at the University of California, San Francisco (UCSF), after his brother-in-law Kevin Rivero served as a liver donor. Both are recovering at UCSF in the ICU. Know for their totally brutal live shows back when the San Francisco Thrash metal explosion truly took force, VIO-LENCE (formed as Death Penalty) was/is a very important piece of thrash metal’s history. Having formed back in 1985 in San Francisco’s infamous Bay Area, the band quickly earned international recognition with thrashers the world over, thanks to their crushing ‘Eternal Nightmare’ opus. Last year, Killian was diagnosed with stage four liver cirrhosis, which was caused in part by a genetic condition called hemochromatosis. The final stage of cirrhosis of the liver is considered as the most dreaded phase of the condition. If the patient is diagnosed during this stage, the life expectancy of the sufferer — without a liver transplant — is said to be one year to three years. This past January, TESTAMENT, EXODUS, FORBIDDEN and VIO-LENCE members performed at a benefit concert for Killian at The Midway in San Francisco, California. 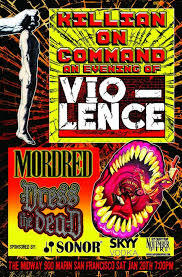 “Killian On Command: An Evening Of Vio-Lence” saw the musicians play only VIO-LENCE material spanning the band’s entire catalogue of songs written from 1985 through 1992. They were joined by other heavy hitters from DEATH ANGEL, KAOS, ILL NINO, FANG, ATTITUDE ADJUSTMENT, VALOR & VENGEANCE, I AM MORBID, PSYCHOSOMATIC, D.R.I., ANNIHILATION, MERCENARY and SACRILEGE B.C. “Killian On Command: An Evening Of Vio-Lence” concluded with a performance of the VIO-LENCE classic “World In A World” featuring four-fifths of the band’s classic lineup — Robb Flynn (guitar), Phil Demmel (guitar), Perry Strickland (drums) and Dean Dell (bass), with Flynn handling lead vocals. (Killian could not perform with the other members due to his health condition). Demmel and Flynn are both now in MACHINE HEAD. 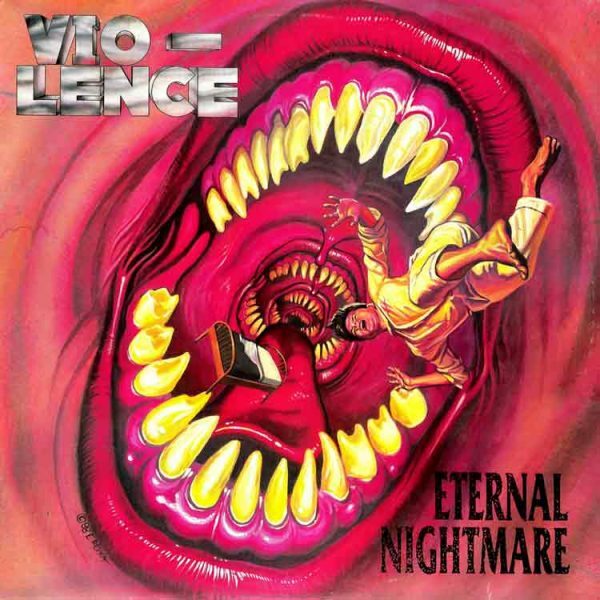 Megaforce Records reissued VIO-LENCE’s classic debut album, “Eternal Nightmare“, with a live bonus CD in June 2005. The bonus disc was recorded on December 14, 2001, at Slims in San Francisco.